Cupookie: Play with your Food! Started off baking the base and the sides. Then flooding the top of the base and both sides of the sides. 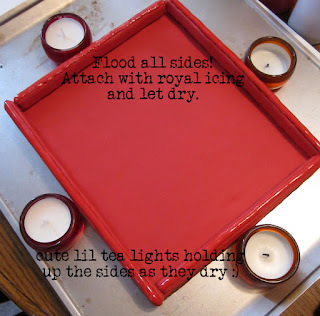 Then using royal icing to "glue" the sides down to the base. 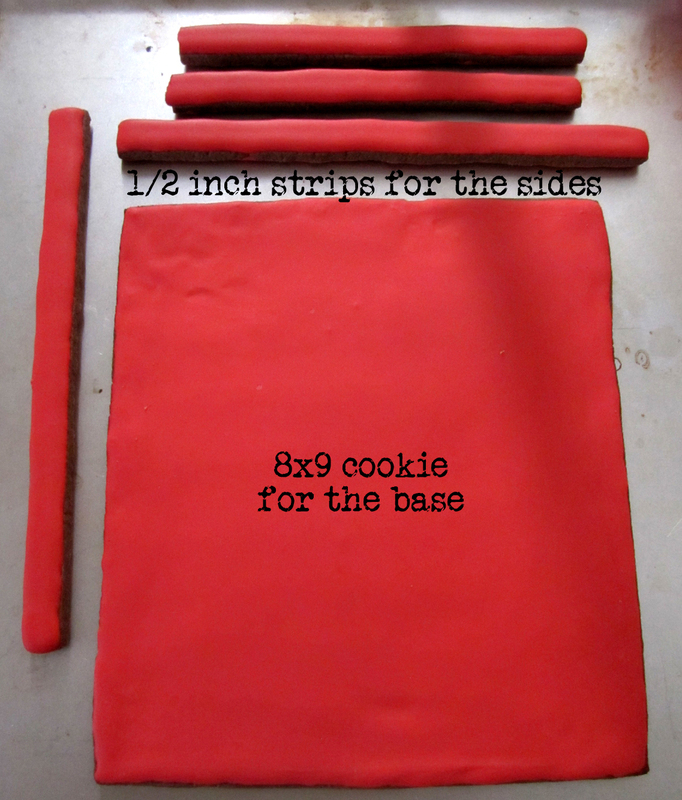 I also flooded the tops to hide the cookie part. Flooding both sides of the Hippo cookies. Attaching and holding them into place with royal icing added to the 3D effect I wanted to achieve. I used white Sixlets candies for the balls. They were perfect! I got a 1 lb bag online and they were so yummy I think they only lasted about a week lol. 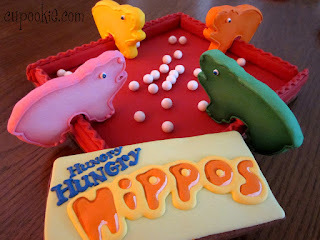 Every time I see these cookies I have the Hungry Hungry Hippo theme song in my head haha. Don't go looking for it because it is the kind of catchy song that will be stuck in your head all day! 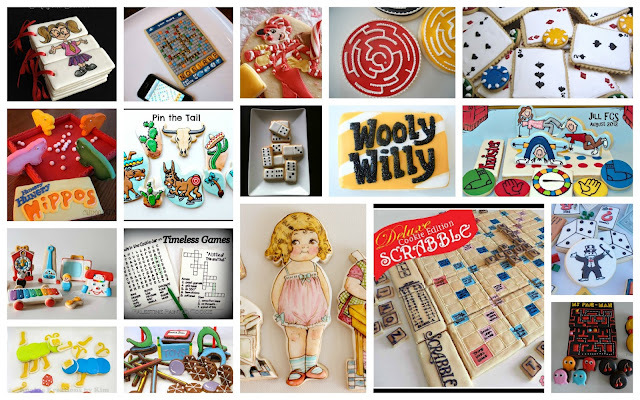 Please go check out some creative, most spectacular Play with your Food entries. Be prepared to be AMAZED!!!! You are so stinking creative Andrea! I love seeing the architecture come together. 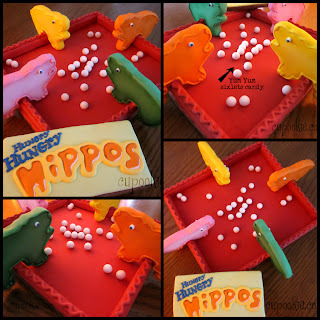 I call dibs on playing the green hippo! Aww thank you. This was such a fun project and I'm still blown away by all the creative cookies everyone made. I guess I will take the orange hippo then and its ON!!! This was as much a construction project as it was a baking project! You are so creative! LOVE THEM!! You all are so sweet. Thank you!! 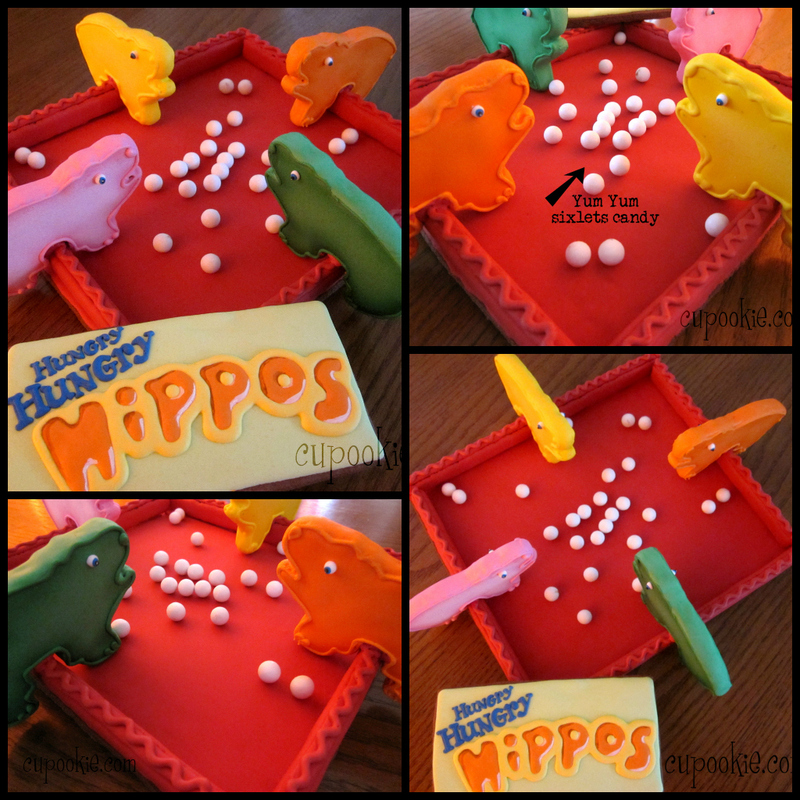 I loved hungry hippos and these are so cool! You rocked this so much!! I never would have even dreamed this up! You are awesome!